One of the major activities that the technicians dealing with commercial fridges have to deal with is risk assessment. It covers the use of various types of refrigerators and freezers on a commercial scale. It’s not that there is no risk associated with the domestic fridges, but things are always riskier when it comes to resolving commercial fridge issues. One of the most regular hazards, which are associated with the use of commercial refrigerators, is the issue of explosion. There may be a number of reasons behind explosions in commercial refrigerators. While at times it may result from the ignition of vapours by sparks that are generated by electrical components, there are other reasons as well, behind such explosions. They include mishaps involving highly volatile substances like diethyl ether. Besides, in the case of commercial refrigerators there are also risks of infection and related hazards caused by toxic effects of different biological chemicals and agents that are at times stored. Again, the risk of exposure to extreme sub-zero temperatures also prevails. It results in cold burns and frostbites and even hypothermia. Besides, failure to control the temperature by unauthorised personnel is also another risk that commercial refrigerators bring in with them. 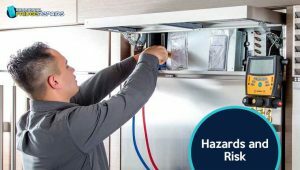 Thus, when it comes to commercial fridge repairs in Auburn, the highly trained technicians have to assess all these risks and hazards while they address various issues. This also makes clear why only and only authorised and highly trained technician personnel should address malfunctions of the commercial refrigerators. That is why, the involvement of highly experienced technicians from companies as Commercial Fridge Repairs is an absolute imperative, if you are to avoid these kinds of mishaps while addressing various commercial refrigerator issues. Our techies are highly trained and experienced to address various commercial refrigerator issues with ease and proficiency. The refrigerators used for commercial purpose need to be from reputed brands. Besides, there have to be certain control measures taken. Commercial fridges need to be labeled with suitable hazard symbols so that those using the appliance are able to assess the probable risk perceptions and the hazards and can respond appropriately. 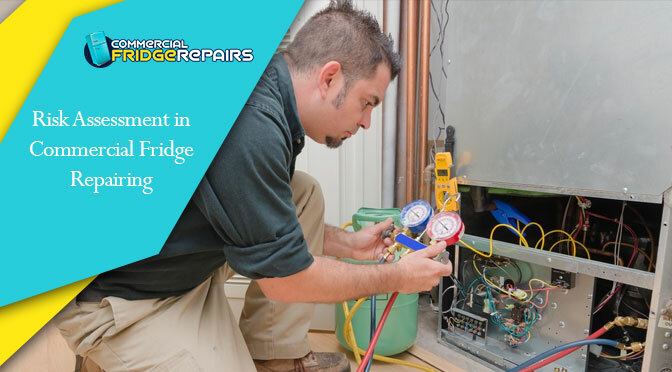 All electrical connections associated with the gadget and the device itself need to be taken care of and examined by competent technicians who perform fridge repair in Seven Hills. That is where our techies make the difference. While examining the issues, these professionals use suitable protective gears like gloves and appropriate dresses along with eye gears and footwears and take all the protective measures before dealing with the components. Even the workers who work with these appliances need to be properly trained and supervised, for ensuring that they deal with the appliance in an appropriate manner to reduce the risk of any unwanted incident. Therefore, you see, these commercial refrigerators need to be handled with utmost care and caution, to make sure they run for a long time. This also ensures that mishaps are averted while being dealt with. However, for repairing, you should summon technicians of only experienced and authorised companies for the best and the safest results. That is where we at Commercial Fridge Repairs make all the difference. Previous PostThings To Do With Low-Cooling Fridge And Freezer With Excess FreezingNext PostRefrigerator Thermostat Issues that Need Immediate Attention! !